RecFish SA are proud of the following partnerships..
RecFish SA are proud to partner with OzFish Unlimited. Our partnership aims to develop the capacity of recreational fishers getting involved with tackling fish habitat issues. Through OzFish Unlimited’s FRDC funded project, RecFish SA are able to employ our Fish Habitat Officer to work with fishers on projects, run workshops/forums, and to coordinate fish habitat activities. Or visit the RecFish SA Fish Habitat page to learn about current projects and how you can get involved! 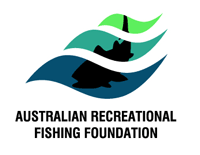 RecFish SA are full financial members of the Australian Recreational Fishing Foundation (ARFF). ARFF is the national peak body for Australia’s recreational fishing community. ARFF strives to address issues affecting the recreational fishing community and focuses on the three main themes of EDUCATION, RESEARCH and ENVIRONMENT.